ALL Masonry and Landscape Supply specializes in Pavers for Driveways, Patios and Walkways. With 5 Brand Names and hundreds of colors and styles of Pavers to choose from, we are San Diego's Ultimate Pavers Superstore. As part of our outside showroom we have created for you a beautiful paver stone walkway. If you are considering the use of paver stones on your project, please visit San Diego's only Paver stone Superstore, it will provide the foundation for an entire project transformation. More about our paver stones . 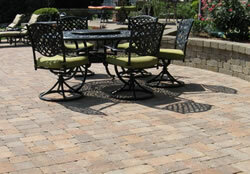 . .
Patio pavers create a beautiful outdoor living space only limited by your imagination. We only work with the best installers in San Diego, offering free design work using pavers in a variety colors, textures and sizes. More about our patio pavers and how we help you with installation . . .
ALL Masonry and Landscape Supply displays meandering paths of stone pavers as part of our 10,000 square foot showroom open free to the public. The use of stone pavers enhances any hardscape project while offering unique textures and colors. More about our stone pavers . . .
ALL Masonry and Landscape Supply offers free concrete pavers for samples on your project. We offer the public, builders, architects and contractors top quality concrete pavers to create exciting patios, driveways, walkways, parking lots and pool decks. Your imagination can be enhanced by visiting our 10,000 square foot showroom displaying concrete pavers in hundreds of colors and shapes manufactured by Belgard, Angelus and Acker-Stone Industries. More about concrete pavers . . .
ALL Masonry & Landscape Supply uses brick pavers in their outside showroom leading to Old Castle's pizza oven. The use of brick pavers in deep, rich colors highlight the stone pavers used in one section of our outside showroom. On display is also Pacific Clays Bear Path brick pavers which add depth to any hardscape surface. More about brick pavers . . .
ALL Masonry and Landscape Supply show installed pavers on concrete in our 10,000 square foot outside showroom. Installation of pavers over concrete can be performed if your project has enough elevation fall for proper drainage, as well as, entering other areas such as homes, offices and other structures. We provide pavers which can be laid on top of existing concrete and secured by using our high strength paver adhesive on the outside borders. By applying pavers over concrete you can hide unsightly cracked and stained concrete and have the beauty of natural pavers. More about pavers over concrete . 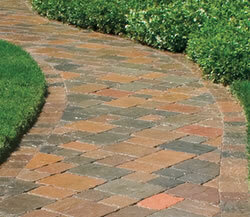 . .
ALL Masonry and Landscapes driveway pavers come in hundreds of colors, shapes and sizes. In our 10,000 square foot outside showroom, you can park your car on different paver driveways, such as Belgard. Acker-Stone pavers were used in our handicapped parking area which is enhanced with the handicap monument. More about driveway pavers . . . Allowing water to enter through permeable pavers replenishes the earth’s water table. ALL Masonry and Landscape Supply have sold thousands of square feet of permeable pavers throughout Southern California, which is an environmentally responsible choice for replacement of concrete and asphalt. More about permeablle pavers . . .
We are proud to have Southern California's largest Belgard Pavers display in North County of San Diego, and to be oldest dealer in California. Our 10,000 square feet sales display features all types of Belgard Pavers. More about Belgard pavers . . .
By taking a free tour over walkway pavers at our huge outdoor sales area, a dream can become a reality by seeing these pavers in many different colors, sizes and shapes. You can experience the beauty and quality of Belgard, Angelus and Acker-Stone pavers for walkways. The natural warmth of travertine pavers can be appreciated when you visit ALL Masonry and Landscape Supply's 10,000 square foot outside showroom. Our earth offers makes available the magnificent colors of travertine pavers, for patios, walkways, steps, wall caps and more. More about our travertine and natural stone pavers . . . Creating a unique paver patio in your backyard will add dimension and reward your creative abilities. We have the largest inventory of backyard pavers in San Diego County, displayed in hundreds of shapes and colors. Generally thin pavers are made from clay, although ALL Masonry and Landscape Supply offers them with Coronado Stone, Pacific Clay products, and natural stone thin pavers in various shapes and sizes. We also offer Acker-Stone thin pavers for commercial and residential use. More about thin pavers . . . Looking for texture and warmth that tumbled pavers offer? They can be found at ALL Masonry and Landscape Supply. San Diego's largest stocking dealer of tumbled pavers offered in natural stone, concrete and clay units that provide exciting colors and textures. By using interlocking pavers and installing joint sand the surface becomes tightly locked into place, but can still expand and contract with temperature changes avoiding cracking and other problems. Come see our displays showing various types of interlocking pavers and applications of joint sands and sealers. More about interlocking pavers . 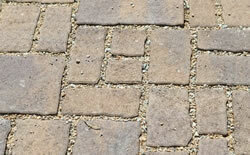 . .
We are also San Diego County’s largest stocking dealer of Angelus Pavers. ALL Masonry and Landscape Supply offers a complete display of the exciting colors and shapes of Angelus Pavers. 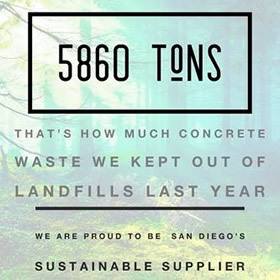 Also San Diego County’s largest stocking dealer of Acker-Stone Pavers. The superstore features Acker-Stone Pavers in their large outside showroom with various colors, shapes and sizes. More about Acker-Stone pavers . . .
ALL Masonry & Landscape Supply being the largest distributor of interlocking pavers in San Diego, is also at the forefront of the paving industry by manufacturing their own paver base which translates into a discount for their installers and homeowners alike. Our paver base consist of crushed rock, decomposed granite and fines which have been crushed from broken concrete and mixed at our company. Both contractors and homeowners can drop their clean and broken concrete at our facility for a small fee and pick-up paver base for their planned project. ALL Masonry & Landscape also offers a 10,000 square feet Paver display installed over paver base for their customers, as well as, a full selection of tools for installing paver base and interlocking pavers.